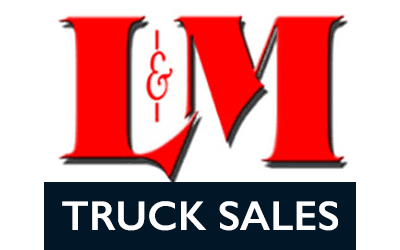 L&M Truck Sales specializes in custom-designed, construction quality equipment produced with the highest caliber workmanship and materials available in the industry. Our equipment is a familiar sight at construction sites in the Northwest. L&M is authorized dealers for Manitowoc, Terex Cranes, Palfinger Knuckle Booms and Forklifts, Broderson Carry Deck Cranes, Liftmoore Cranes, United Water Tank Systems, Holden Trailers, Henderson Dump Bodies, and Roll-Rite Tarp Systems. The L&M fleet includes over 250 select new and used job-ready trucks and equipment, including booms, buckets, dumps, flatbeds and water trucks. We also have available for sale or rent, equipment hauling, freight and storage trailers, un-mounted cranes of all sizes, knucklebooms, and carry deck cranes. We have five different purchasing options available to our customers. Please see Purchasing Options for more details. Welcome to the L&M Truck Sales family, it will be our pleasure to serve you. Thank you for the outstanding effort you and your team put into building our new equipment. You have a great group of people up there and it has been nothing short of a pleasure working with you all. L&M Truck Sales has put more effort and consideration into every project and job we have had the pleasure of needing their assistance for. Every time we had an issue or a need with our powerline equipment they were there to assist us with great service and a fantastic demeanor. At Rolled Steel Products we work with a variety of industrial equipment including: truck mounted forklifts, truck beds, and articulated cranes. With such a diversity in products that we service we sometimes need additional help from companies that also have the same diverse work style. L&M has helped us countless times and I look forward to working with them more in the future. Having been in the industrial trucking business for so long at ATI, it is nice to work with a company that has the assets of a large company, with the service and care of a small company. Here at ATI we have worked with L&M for many projects and each time the outcome is something that I am proud to put my name on. I have worked with L&M Trucks Sales for many years and every time I need a crane rental, purchase or repair they stand ready to give us great service. I like to work with local companies and L&M is one of those good local companies that we can count on. I can trust them for supplying us with outstanding equipment and service to back it up.